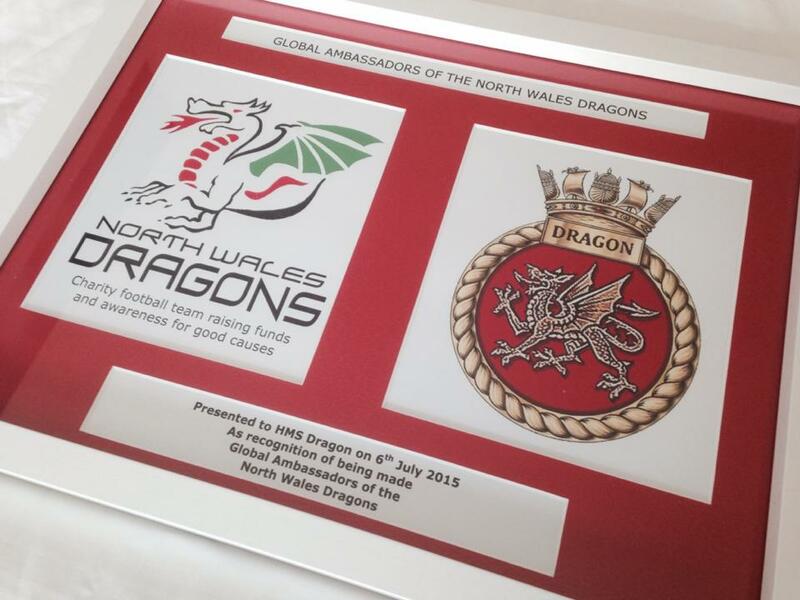 North Wales Dragons are proud to announce that HMS Dragon have agreed to become Global Ambassadors for the team. 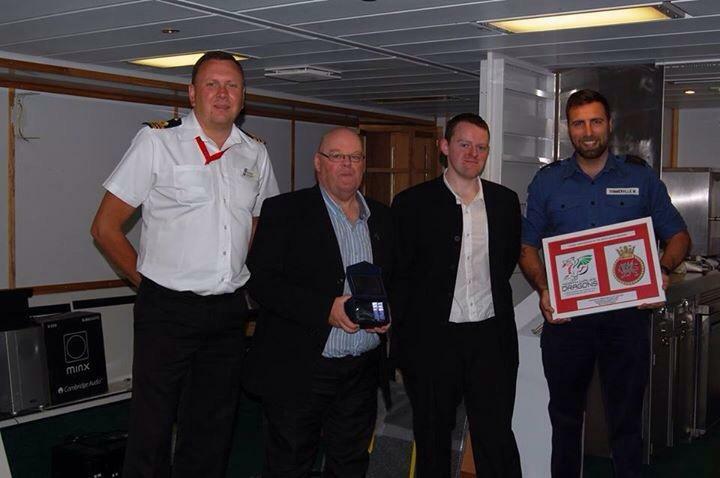 Recently invited as guests to the ship currently in refit in the naval dockyard, Portsmouth, Co Founders of the North Wales Dragons Chris and Gareth Roberts presented to the crew a framed memento marking the affiliation to Joe Allfree and Matt Sommerville. The founders were given an in depth tour of the vessel and a compelling insight to one of the most sophisticated warships in the World. As soon as you stepped on board, the family atmosphere was evident and you could tell that all who sailed on her were very proud of their ship, this dovetails nicely with the Dragons ethos as we are very family orientated and proud of what we have created. The North Wales Dragons are also pleased to announce that a match will be scheduled in the future against a squad from HMS Dragon once the ships’ refit is completed. We look forward to this exciting relationship and working with HMS Dragon on many varying projects. Welcome to the official website of the North Wales Dragons. The home of the football team that aims to make a difference, by raising funds and creating awareness for various charities. North Wales Dragons Ltd is a not for profit social enterprise.